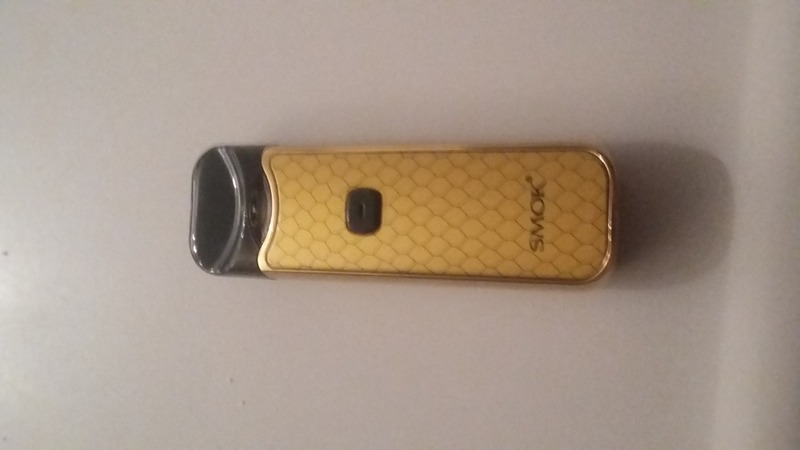 Click here to be notified by email when SMOK Nord AIO Pod System becomes available. The SMOK Nord Pod System delivers an all in one starter kit that utilizes an internal 1100mAh battery capacity combined with a 3mL eJuice capacity. Powerful and versatile, the SMOK Nord brings you three coil options - the standard 1.4ohm MTL Coil (Included), the Mesh 0.6ohm Coil (Included), and the Ceramic 1.4ohm Coil (not included). The SMOK Nord comes equipped with LED battery light indicator, which informs you of your battery life to ensure you never run out of juice. When your battery life is below 30%, the light will be red. When your battery life is between 30% - 70%, the light will be orange. When your battery life is between 70% - 100%, the light will be green. A ergonomic, easy to use, and beautifully designed all in one device, The SMOK Nord Pod System is a must have! Thanks for your review, Gabriel! We're glad to see the SMOK Nord is working out for you. We're enjoying it ourselves. Enjoy! This is exactly what I wanted from a pod system! A small, durable device that allows for sub ohm vaping so I get the throat hit and vapor production I enjoy. The 0.5ohm mesh coil performs amazing! I highly recommend.